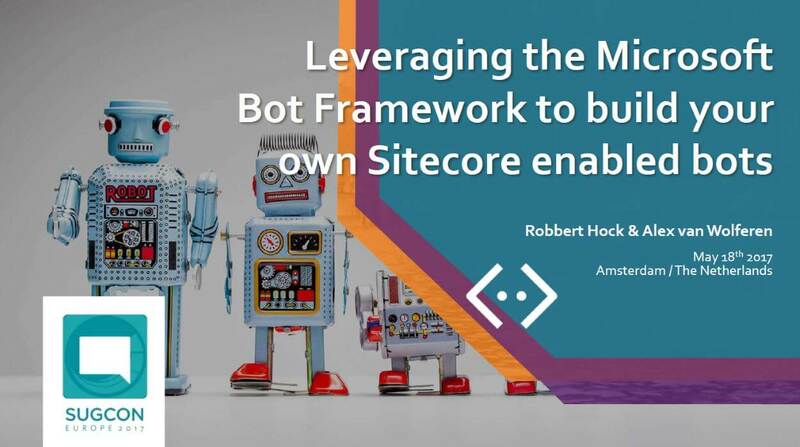 For our session at SUGCON Europe 2017 session on the Microsoft Bot Framework and for the conference itself, we build a SUGCON Europe 2017 event bot. In the previous blogposts (Webchat integration, Skype channel integration and Facebook integration), we already talked about the several channels we integrated our code with. In this blogpost you will find the video recording of our presentation and where you can find the code for the event bot. I love working for Inspiring and Influential Brands and Digital Agencies to deliver the best Digital Experiences for their clients.